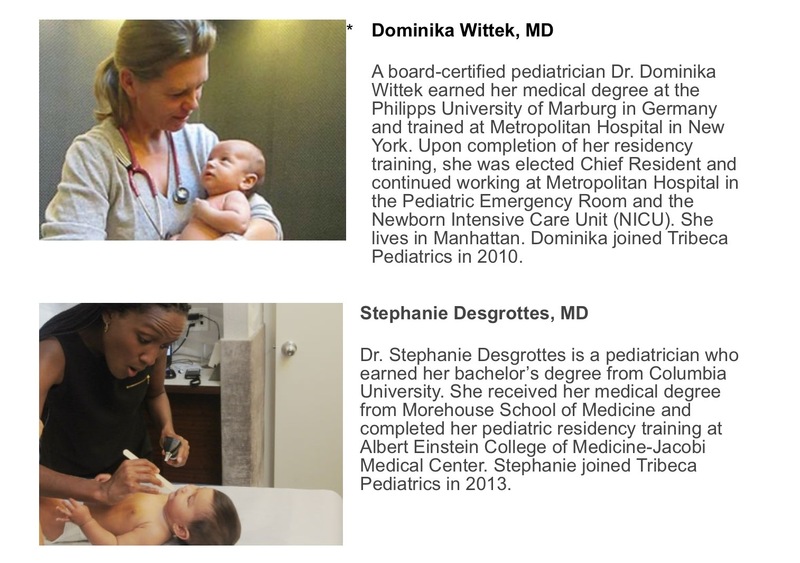 Bios on Pediatricians at Tribeca Pediatrics Harlem Branch | HarlemGal Inc. This entry was posted in business, Community, education, Frederick Douglass Blvd., Harlem, Harlem bloggers, Harlem blogs, Harlem businesses, HarlemGal, health and wellness, kids, Things to do with kids in Harlem and tagged @aharlemmommy, @harlemcondolife, Harlem, Harlem branch, health and wellness, Kids, Tribeca, Tribeca Pediatrics, Tribeca Pediatrics Harlem. Bookmark the permalink. It’s also important to know at which current hospitals your pediatrician has privileges. If a pediatrician is to manage you through a crises, they need relationships at the hospital where your kid is being treated. Otherwise, you end up managing the crises yourself.